I need to...predict my hardware and software spend. Learn how scenario modeling and analysis can help you forecast the cost and time for future projects. No more hassle. Make vendor renewals a breeze with Ivanti. Never overbuy software licenses again. Know what licenses you have and how many you’re using so you don’t get burned. Looking to migrate to Windows 10? Want to know how much it’s going to cost per user and how long it’s going to take? Need a hardware refresh but worried that you don’t have the budget? Don’t start another strategic IT initiative without having all the facts. The unknown can cost you a lot of money, especially when it comes to your hardware and software assets. Avoid surprises that can lead to over-licensing, high true-up costs, and even hefty fines. Cut out the guesswork and get a solution that provides you with accurate scenario modeling and analysis -- saving you time and money. Looking for a faster way to success? Need to optimize your hardware and software assets before a renewal? Ivanti License Optimizer for Clients or Servers helps you plan for success by giving you the information you need, when you need it. Know what terms are typical and what negotiating tactics have worked in the past. Get the knowledge you need to negotiate with vendors on your terms. Clawback licenses from users to save money or reallocate licenses to users who need them. Discover if you have any licensing shortfalls or unused licenses. According to Compass, research shows that up 60% of your organization’s software portfolio is probably over-licensed. Instead of wasting money on over-buying licenses, invest it in a solution that can save you more in the end. For every dollar you put into software asset management, you could get up to $5-$10 in return. Ivanti products give you the edge to proactively about predict and manage software and hardware costs throughout their lifecycle. Extend the benefits of license optimization to the data center. Make the most of your hardware and software investment. 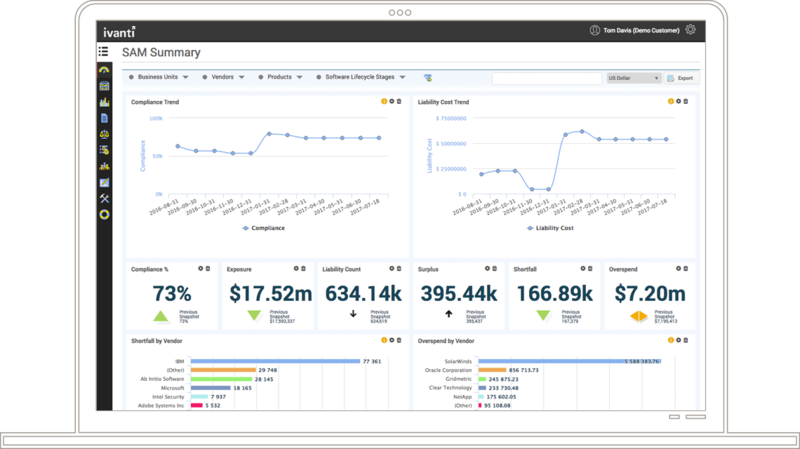 Get a feature-rich IT asset management solution that helps you forecast spend and optimize your current hardware and software. Model multiple scenarios for large/complex IT transformations, including cloud migrations with inbuilt Cloud-APIs. Built in AI and analytics work behind the scenes to identify trends to shape intelligence and future insights. Easily build and provide the most relevant information for any role in your organization. Our product metrics and software library includes more than 7,000 vendors and associated products. Our ELP and OLP engine factors upgrade/downgrade paths, suites, bundles, etc. to maximize your license coverage. 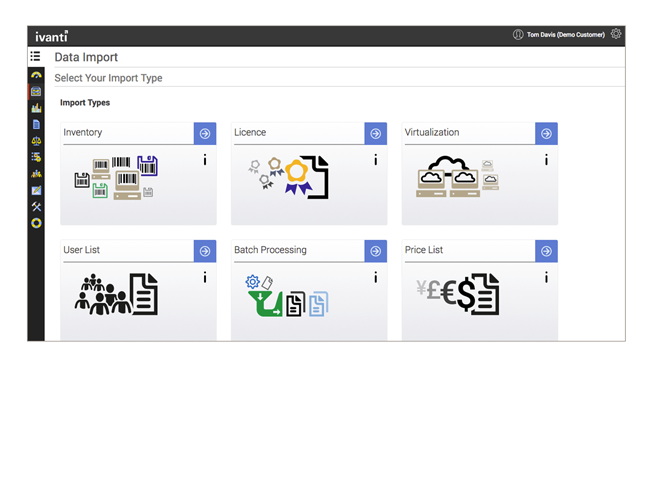 Visualize and manage the entire lifecycle of hardware, software, contracts, licenses, and liabilities.